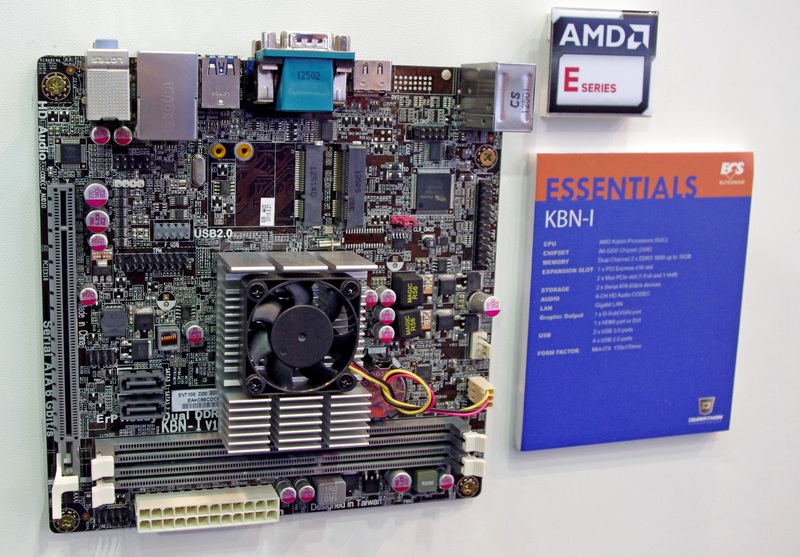 While there is a lot of focus on the mainstream desktop market, we hastily reviewed the new entrant to the low-end socketed desktop from AMD, the AM1 Kabini platform back in April. 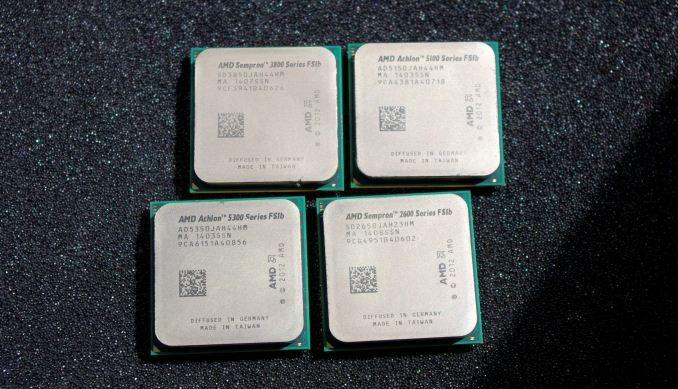 Since then we have acquired all four members of the family, the two quad core Athlon APUs and the two Sempron APUs, for testing. 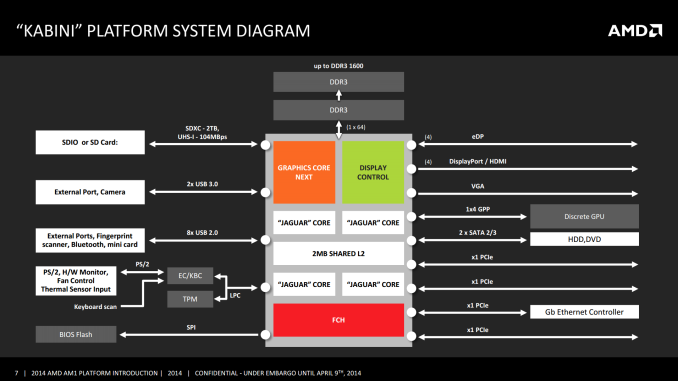 AMD’s movement into the upgradable tablet/desktop crossover arena is an interesting one for sure. What Is The Point of AM1? 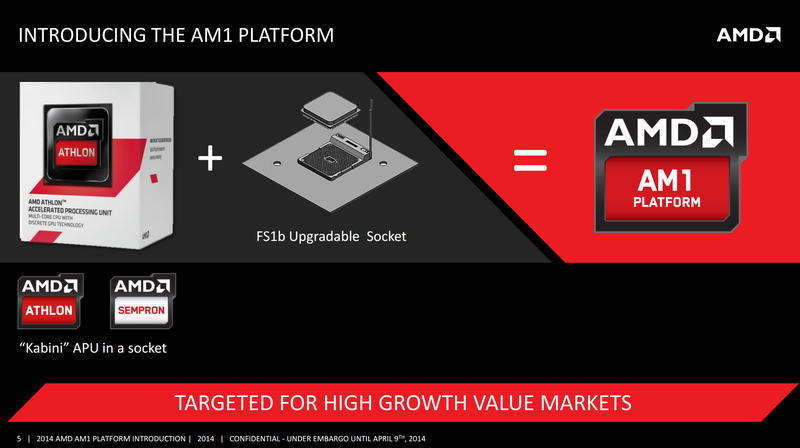 AMD’s reason for releasing a socketed low-power platform was derived from requests in low cost areas of the market. System integrators and companies in South America, Africa and Central Asia wanted a base system which would run an operating system which could be upgraded in the future to higher specification components, rather than sticking with a low-power but non-upgradable mobile CPU. The end result was AM1, the name given to a system using an FS1b socket with a desktop Kabini APU and an aim to build an upgradable CPU/motherboard combination for around $60. These systems often find their way into applications that have long upgrade cycles, such as embedded and digital signage. The novelty of an upgradeable, socketed package makes most sense in the desktop arena. With low cost segments focusing more on the entry-level segmentation, AMD believe that having this upgradeability might drive pressure in the entry market towards these upgradeable PC-like devices. AMD is marketing the series as a cheap, low powered way to go to quad core. When building a CPU architecture there is often a point in frequency scaling which is most efficient, and any deviation from that causes a less-than-linear gain in performance for power. 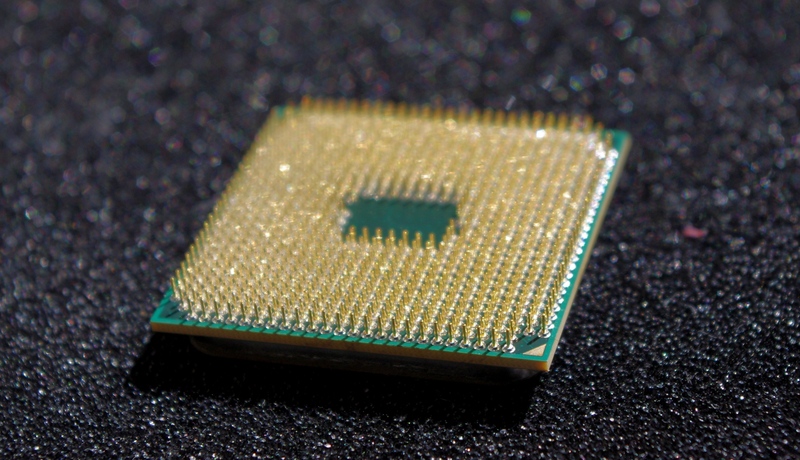 Under this paradigm, and the importance of single core speed, the general feeling at AnandTech is that single core performance is preferred to more cores. 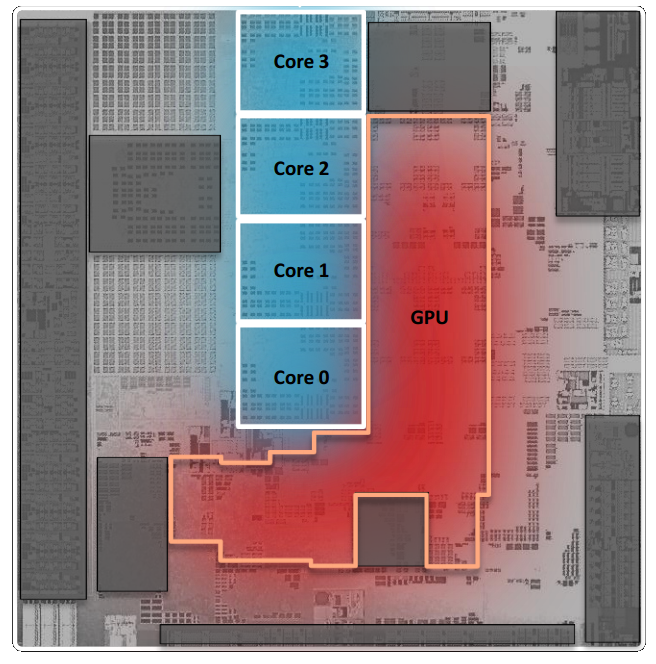 If we can get the same multi-core performance using half the number of cores within the same power bracket, then this solution would be preferred. The final piece of that puzzle however comes in terms of design and price, both of which are points that AMD is also aiming to be competitive. Each of these APUs features up to four 28nm Jaguar cores and a 128 SP implementation of AMD's GCN GPU. We've gone over both the Jaguar and GCN architectures in previous articles, so we won't spend a lot of time recapping them here. 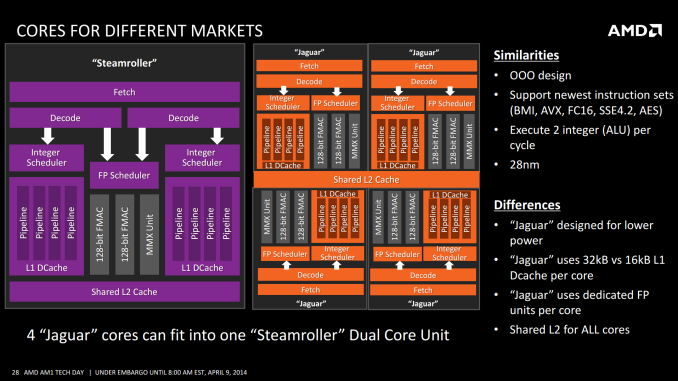 Jaguar is the latest in AMD's line of "cat" cores, designed to go up against Intel's Atom. GCN on the other hand is a well-known GPU design from AMD as well, cut down here to fit in a much smaller die area (and thermal envelope). The Jaguar cores in Kabini are listed as 3.1mm2, and AMD is quoting that four of these cores will fit into a single Steamroller module. Unfortunately the dimensions of a Steamroller module are not known - a 32nm SOI Bulldozer module clocked in at 30.9 mm2 for example, but no equivalent number is available for 28nm Steamroller. However some quick math shows four Jaguar cores populates 12.4 mm2. This leaves the rest of the core for the L2 cache, IGP and a large amount of IO. Given that one core is 3.1 mm2, extrapolating out gives the size of the die at 31.4x the size of a single core, or 97.3 mm2. The GPU area is approximately 5.2x the size of a core, giving ~16.1 mm2 for 128 GCN cores, compared to 12.4 mm2 for CPU cores. The Video Codec Engine and Unified Video Decoder are not part of these totals, located on other parts of the APU. The memory controller clocks in at ~9.4 mm2 and the display/IO portion runs at ~7.3 mm2. These do use far more power. Atom chips are 10W chips. These Semprons are 25W. They do not compete with each other. See how that doesn't impact the fact that people are talking about more than just wattage? ;) Some people just want to know what the best VALUE is per dollar and these low end options are all in the running. "The G3220 is a 53W chip. These are 25W chips. They do not compete with each other."